Reinsurance capital looks set to pay for some of the damage caused by this weeks earthquakes in New Zealand, with local insurers having low deductibles and the EQC likely to call on its program as well, but questions of how many events have occurred could complicate matters, as could supply chain interruption. 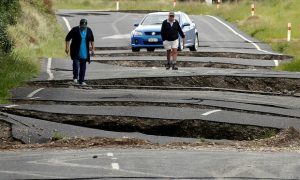 The first and largest earthquake, preliminarily deemed a magnitude 7.8 event, struck late at night on Sunday into Monday morning in New Zealand and appears to have caused widespread damage, to residential properties, commercial buildings and to infrastructure. The severity of the damage seems less than the 2010 and 2011 earthquakes which, are now responsible for over $19 billion of insurance and reinsurance claims, but the area affected appears wider. The industry loss is likely to be less, given the epicenter was in an area of much lower population, but the industry should expect it to be of a size where some reinsurance claims are to be expected. The Prime Minister of New Zealand surveyed the affected region yesterday and said “It’s just utter devastation” and that repairing the damage would be “months of work.” He said it would be hard to believe it would not cause a cost to the economy well into the billions of dollars. Infrastructure damage from the first earthquake raises issues related to business interruption and supply chain risk, as ports are unable to operate, roads and rail tracks blocked due to landslides and local authorities saying it could be many weeks before things are back to normal. That could exacerbate the extent of any loss for insurers, ultimately increasing the risk of reinsurance capital paying a larger share as well. The region has been rocked by hundreds of large aftershocks, which have been severe enough in some cases to exacerbate the damage seen. A second major earthquake occurred on Monday as well, initially put as a magnitude 6.8 event, but later downgraded. Two other major quakes of magnitude 6+ have also occurred in the vicinity since the first earthquake, according to the USGS. Questions are already arising as to whether those can be deemed aftershocks or whether at least one could be deemed a separate event by the insurance and reinsurance industry. Risk modelling firm AIR Worldwide calls the events aftershocks, but we’ve heard contacts in the market questioning whether at least one of the stronger aftershocks (the one highlighted by most of the mainstream media) could be a separate event. If it were a separate event it could make insurers and the Earthquake Commission (EQC) retain more of the losses associated with the quakes, lessening the amount reinsurance would pay for. The EQC has a retention of around US$1 billion we understand, before its NZ$4.7 billion of reinsurance protection kicks in. Were the larger aftershock deemed a separate quake by reinsurers it could cause the EQC to pay a second retention. Under such circumstances the same could be applicable to primary insurers reinsurance programs. At this stage we’re hearing some market chatter that the second earthquake is being investigated by some reinsurers to see how it should be treated. But it seems that risk modelling firms and others, including the wider press, are already stating that this is an aftershock and so a single event, which would suggest a single event and a single claim. If that’s the case it’s entirely possible that the EQC could blow through its deductible and call on some reinsurance capital to help it to finance the payment of claims associated with this earthquake. The collateralised reinsurance and ILS fund market generally participates in the upper layer of the EQC’s reinsurance program, so these could be safe from impacts to the EQC program. It’s perhaps more likely that ILS funds may find themselves exposed through either primary insurers with low reinsurance program deductibles, or through world-wide aggregate retrocession type contracts, given the greater level of loss events seen in 2016 so far. Primary insurers underwriting earthquake risk in New Zealand tend to have low deductibles on their reinsurance program, making claims more likely. Judging by the level of damage seen from the quakes, it is hard to imagine that Tower won’t blow through that retention level and call on its reinsurers for support. Other insurers operating in New Zealand likely have similarly low retained deductibles on their reinsurance arrangements, which could mean a larger proportion of the eventual loss from this weeks earthquake falls to reinsurance capital. However the events are treated (single or separate) and whatever insurers reinsurance arrangements are, the fact is that losses suffered by the re/insurance industry are expected to be much lower than were seen from the Canterbury quake event. Complications due to supply chain risks and the potential for business interruption, due to infrastructure damage and key supply routes being out of action for some weeks could exacerbate claims, but still the overall impact is expected to be much lower. The Canterbury quake experience and the long period of time taken for claims to be settled will concern some reinsurers, as that event has seen the industry loss continuing to rise five years after the event and caused some insurers to increase their reinsurance protection. Reinsurers do not want to be held on losses for years, particularly for risks typically classed as shorter-tail like earthquakes. Hence the ILS fund market commuted its exposures to the Canterbury events earlier on, which right now looks like a very smart move. The event will further highlight the important role of reinsurance capital and the benefits of softer pricing. The EQC and regional insurers have all benefited from the softening of the reinsurance market, enabling them to buy increased coverage and reduce their deductibles in recent years. New Zealand property insurance rates have risen somewhat since the Canterbury event, as have some layers of pricing on reinsurance programs, but still these remain more affordable and protection broader than it was pre-the 2011 event. 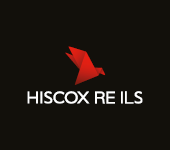 It will be interesting to see whether reinsurance rates remain low, or whether the global market looks to push through rate increases in New Zealand after this latest earthquake. BOSTON, Nov. 14, 2016 – According to catastrophe modeling firm AIR Worldwide, powerful aftershocks have shaken New Zealand since an M7.8 earthquake struck South Island near Hanmer Springs at 12:02 a.m. local time on November 14 (11:02 UTC on November 13). Numerous aftershocks have been reported, some as strong as M6.5. Although damage has been relatively light, many roads remain blocked from ground failure and landslides, numerous power outages have been reported, and water and sewer services has been interrupted in some locales. The epicenter is about 93 km (58 miles) north-northeast of Christchurch, which is still recovering from a pair of earthquakes in late 2010 and early 2011. The initial earthquake struck in a relatively sparsely populated area of South Island and at a time when most people were asleep and the roads were clear, which helped reduce the number of casualties. New Zealand’s GeoNet estimated the magnitude on the Richter magnitude scale (local magnitude) at 7.5, while the U.S. Geological Survey (USGS) estimated the magnitude at 7.4 initially then later revised to 7.8. According to AIR, the M7.8 earthquake that struck New Zealand’s South Island was the strongest to hit the country since the 2009 M7.8 Dusky Sound earthquake. Some reports indicate that the initial event—which lasted up to two minutes—included two quakes, one thrust-fault and the other strike-slip. This earthquake happened in a seismically complex area where the Hikurangi subduction zone is transitioned into the Alpine crustal fault through the Marlborough fault system. The M7.8 quake was felt from Christchurch on South Island to Wellington and as far as Auckland on North Island. USGS reported that during the first 9 hours after the M7.8 quake, 25 M4.5 to M6.5 aftershocks occurred, extending 160 km (100 miles) northeast from the epicenter. The numerous aftershocks have been distributed from the northern part of South Island, notably near Seddon and Kaikoura, to Paraparaumu and Wellington on North Island, which have experienced M4.9 temblors. Many seismologists expect aftershocks to continue for a few months, with some temblors as strong as M5.0. Although the epicenter of the initial quake was on land, a tsunami alert was issued by the Pacific Tsunami Warning Center because the earthquake fault extended offshore and because the quake was thought to have resulted from a thrust motion. People along the entire east coast of New Zealand—both North Island and South Island—were warned to seek high ground or move inland. Preliminary reconnaissance surveys report uplift one the order of 1 meter (3 feet), but corrected tide gauge records also suggest such uplift, which could explain why little inundation has been reported at this point. Some damage from tsunami waves has been reported in a small bay in Banks Peninsula, but in general damage attributed to tsunami apparently has been slight. Although damage has been somewhat lighter than might be expected from an M7.8 temblor, the earthquake—and the numerous aftershocks—have had widespread impacts. Throughout the region, glass has been broken in buildings, chimneys have collapsed, and some structural damage has occurred. Building contents breakage has occurred widely, as shelves collapsed, cupboards opened, and furniture and equipment shifted and toppled. Debris from damaged buildings and landslides has also damaged some vehicles. Power outages, disruption of water and sewer services, and interruption of phone service (including emergency numbers) have impacted some communities. Although the impact of the M7.8 quake appears to be less in Christchurch than the devastating and deadly M6.1 earthquake there in February 2011, evacuation centers were opened and police set up roadblocks to prevent people from going to the coast. Also, on South Island, the coastal town of Kaikoura, has been cut off from the rest of the islands by road-blocking landslides; helicopters and a navy ship have been pressed into rescue service to evacuate as many as 1,000 residents and tourists. On North Island, in Wellington, the capital of New Zealand, some multi-story buildings experienced broken windows and structural and contents damage. Some highways and rail lines in the affected region have been damaged, and many bridges and tunnels were closed after the initial quake so that they could be inspected. According to AIR, earthquake risk to communities in New Zealand is partially mitigated by stringent and rigorously enforced national building codes. For example, the New Zealand building code has prohibited the use of unreinforced masonry (URM) in new structures since 1965. In addition, innovative construction methods that minimize building damage from earthquakes, such as base isolation, have been pioneered in New Zealand. The standards for commercial building types (e.g., reinforced concrete, steel, and masonry veneer) and residential building types (e.g., reinforced masonry and timber frame), are constantly updated in the New Zealand building code to reflect improved understanding of how these construction types respond to ground shaking. · Wellington. The capital city and second most populous urban area in New Zealand, Wellington exhibits high seismic risk. The close proximity of the city to several northeast-southwest trending fault traces, including the Wellington Fault, potentially exposes Wellington to strong ground shaking. Much of the central business district and waterfront of New Zealand’s capital is underlain by soft sediments, which amplify ground shaking. In fact, the land beneath several blocks of the central business district and the present-day waterfront was below sea level prior to the 1855 Wairarapa earthquake. In that seismic event, the seabed of a shallow lagoon was raised by 2 meters (6 feet), lifting these sediments above sea level and exposing new land that the city later expanded to cover. Other coastal regions experienced uplift as well, with a maximum of 6.4 meters (21 feet) of vertical uplift observed east of Wellington city. Finally, most of the major routes into Wellington’s central business district have a high proportion of older buildings (such as URM structures that pre-date the 1965 ban on URM in new construction) that are more vulnerable to ground shaking than modern structures. · Christchurch. The tragic and costly effects of the 2010/2011 Canterbury Earthquake Swarm (CES) underscore the seismic vulnerability of this city. Although Christchurch is located south of most of the splays and associated faults of the Alpine Transform Fault system, several recently discovered faults—such as the east-west trending Greendale fault just 30 km (20 miles) west of Christchurch and several small north-south trending faults—increase the city’s vulnerability to earthquakes. According to AIR, in addition, much of urban Christchurch is built on a thick (greater than 20 meters, 65 feet) layer of unconsolidated sediments, which amplifies ground shaking. Where the water table is high (i.e., located at a shallow depth), these sediments can also lose strength and exhibit liquefaction. Although much of the central business district of Christchurch is built on soft sediments, the water table there tends to be too deep for liquefaction to occur during ground shaking. However, most of the surrounding neighborhoods within a 5 km (3 mile) radius of the central business district possess both soft sediments and shallow water table conditions, resulting in a moderate-to-high risk of liquefaction.